Sydney's Fashion Diary: CLOSED - Allison Izu Premium Petite Denim Giveaway! CLOSED - Allison Izu Premium Petite Denim Giveaway! Once again, Allison Izu generously offered another giveaway for readers of PetiteLittleGirl.com. One lucky reader will receive a pair of premium denim of her choice. If you are unfamiliar with the brand, Allison Izu offers petite denim from size 000 to size 10, available in 27” or 31” inseam. All denim are designed in Hawaii and assembled in California. The prize will be given in form of a gift code. The amount would be equivalent to one free pair. Allison will send the code directly to the winner via email once the giveaway ends. - Open to readers of PetiteLittleGirl.com only. Click to follow via GFC or via Bloglovin (Mandatory, +1 entry). Please leave separate comments if you do both. Winner will be chosen randomly and announced on April 29th, 2012. This giveaway is open to U.S. and Canada readers only. A big thank to Allison for sponsoring! i follow both you and her, on both facebook, and twitter! i hope i win, the jeans look great. I've heard great things about Allison's denim & have liked her Facebook page. I tweeted about your giveaway too. 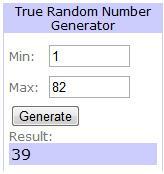 :D another give away! I am always following you, and I followed her on twitter as well as tweeted about it! Hi Sydney, thanks for hosting this giveaway! I'm a follower on GFC and I also followed Alison on twitter! What a great giveaway for petites! I follow you on GFC. I liked Allison on FB. followed on GFC! Thanks for hosting! now following allison on twitter! I would love to win these jeans! I also liked Allison on facebook! Jeans come in triple 0's. Crazy.. Thanks for hosting it. Follow you on BlogLovin and liked her on FB! I've been a follower of your blog with GFC! I liked Allison's Facebook also! I am also following Allison on twitter @lisacng and liked her page. Thanks for the giveaway Sydney! And liked Allison on fb. Great giveaway! And I liked Allison on FB. I also tweeted this awesome giveaway!! And I also followed Allison on twitter!! What lovely jeans! I'm following via GFC! I'm following via Bloglovin :) love your blog, and Allison's jeans look awesome! I am following Allison on twitter. I'm a follower on GFC! Thanks for the giveaway! I follow PetiteLittleGirl.com via GFC and via Bloglovin - Molly Bussler meoleme@yahoo.com Got My Fingers Crossed! Thank you!